Transform from helicopter into plane mode by rotating the propellers with the cool Paw Patrol Air Patroller! Load the entire Paw Patrol team into the cargo bay or cockpit. Press the button on top of the Air Patroller’s handle to activate real light and sound effects! 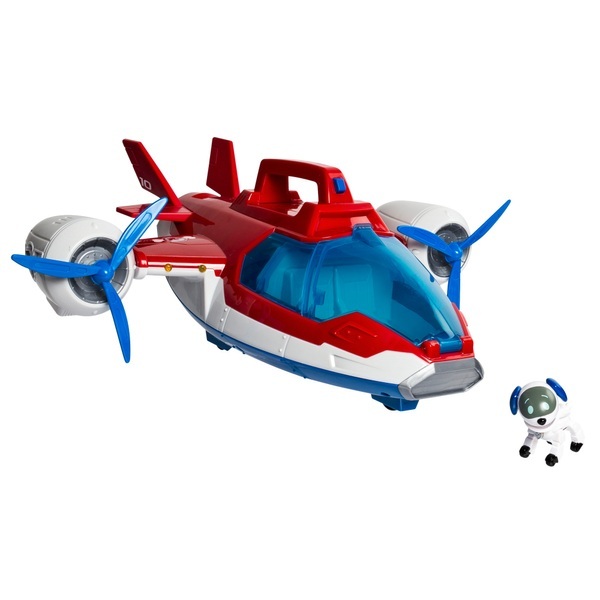 Place the included Robopup in the cockpit and transform this 2-in-1 Air Patroller from helicopter to plane mode for real Paw Patrol Rescue Missions!